This is the original sixties version of Der Ausreisser (by the way, there was a German edition called "Der Favorit"). I really prefer these original graphics (I never liked much the 90's German games' graphics). I am a big fan of this game. 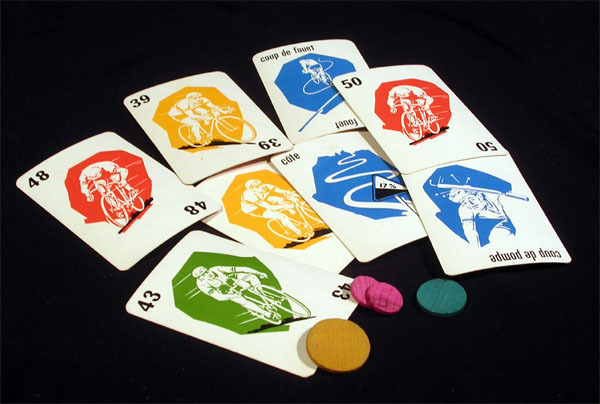 It is a quite simple card game that does not need a board to play and it is one of the first cycling games that used the cards concept (instead of dice) that has been later used in board games like Devil Takes The Hindmost, L'échappée du Tour or Flamme Rouge. 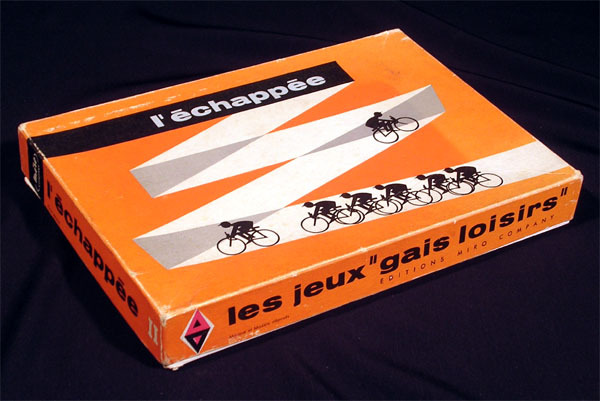 As I said somewhere else, I feel that cards work better than dice in the context of cycling games. See the English translation of the rules (of Der Ausreisser's actually, but nevermind) here. b) Short stage: play with (roughly) half the cards. This stage gets surprisingly nervous! 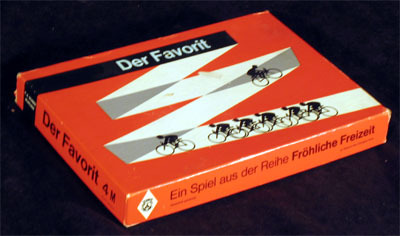 This game was released in Germany as "Der Favorit" by F.X.Schmidt, long before they changed it to "Der Ausreisser"